FernV wrote: I noticed that with gmoccapy, when pressing a jog button and the screen change that it will jog until <esc> is pressed. Connecting V2 version to gmoccapy has a nuance. And then I fixed gmoccapy.py so that it doesn’t wipe Probe Screen when switching MDI-MANUAL modes. 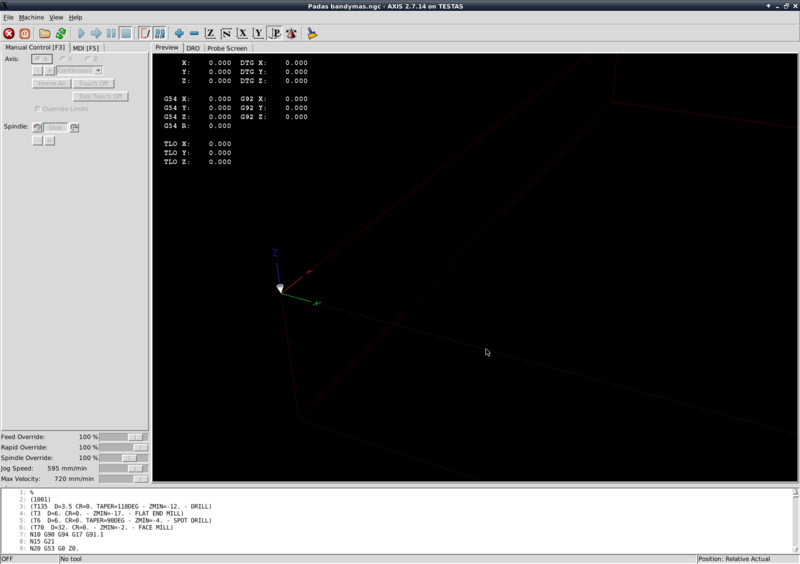 your changes in gmoccapy could lead to a gui not beeing syncronised with LinuxCNC mode state! Imho that is not a good idea. It would be better to check if probe screen is active and only in that case avoid a gui mode switch. That way is much more complicated, but secure. I needed to do a similar check for the tool reloading on start up! do you all know what Cmorley is working on with QtVCP and QT5? I installed Probe Screen V2 and it seem all functions work fine, but when I try upload Gcode (from fusion 360) code not work. In preview screen it doesen't show tool pases, when I try hit cycle start machine go to Z0 and then nothing happens. 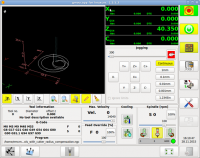 I noticed G code without tool in descripcion work fine(example linux engrave program "Linux CNC" ). So I what to ask if anyone have similar problem and solve it, or I simply wrongly intalled program and asked stupid question? Tool replacing window can fall to a level below due to manipulations with the mouse on the Axis screen during the procedure. You can pull out it by folding Axis in the tray. No i think its not there, in fact i think that i'm misunderstanding some of you instructions, because i don't have any connections in my hal signals regarding to tool. If I comment out the remap no error. Last edit: 09 Feb 2019 01:09 by Roguish. As I mentioned in another thread, I added NativeCam and the Probe v2 functions to my gmoccapy 1.5.4 and Linux 2.7.14 setup. Most things work very good. Is there a conflict with a similar mapping ? ?